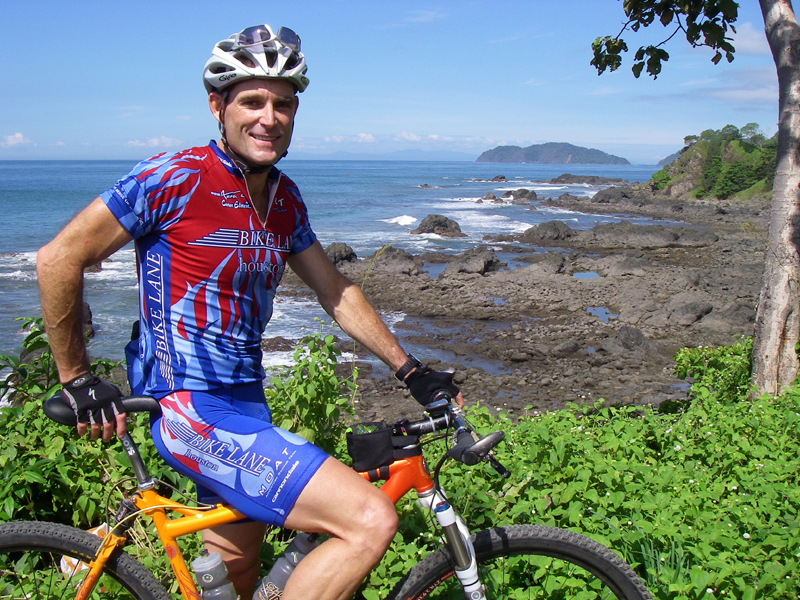 David Boyd, native Houstonian and avid mountain bike racer, died on September 3, 2008 in a climbing accident in Colorado. He was 47 years old. Dave was a radiologist, practicing in northwest Houston, and a dedicated outdoorsman. He founded and was captain of the M.O.A.T adventure racing team and competed in mountain bike races all over Texas and the nation. Known and respected by other racers for his athleticism, humility, generosity and good sportsmanship, his untimely death has inspired an outpouring of grief and remembrance from the mountain bike and climbing communities. You can read remembrances of Dave from fellow climbers and cyclists here. Though shocked and saddened by the news, many take comfort in the fact that he died while doing something he loved. Dave became a lifetime member of BikeTexas / Texas Bicycle Coalition in 2001. It was important to Dave to encourage young mountain bikers in the sport – for this reason, his family has asked that in lieu of flowers, donations be made to the David Boyd Memorial Fund for the BikeTexas KidsKup (choose Dave’s name from the drop-down list). The KidsKup is a mountain bike race for children that precedes every TMBRA Point Series race. Our deepest sympathy goes out to Dave’s friends and family. You can read his obituary in the Houston Chronicle here.